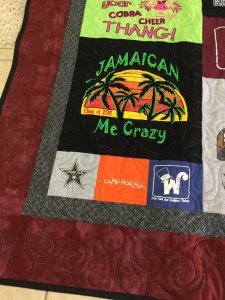 Bring your UNCUT T-shirts into Two Chicks Quilting and we can discuss what you would like your T-Shirt or Memory Quilt to look like. 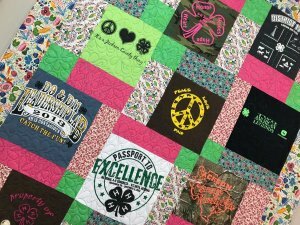 We prepare each shirt or piece of clothing with a stabilizer to keep it from stretching, then sew it together with quilting cotton to create blocks. 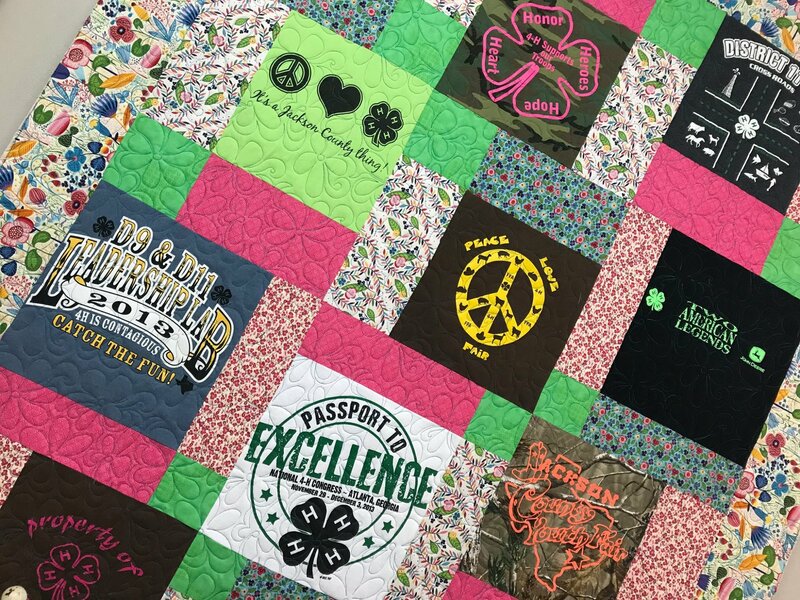 Every T-shirt and Memory Quilt is an original. 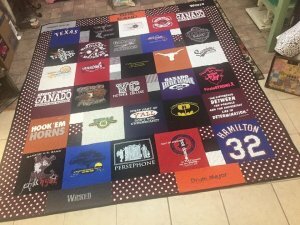 We can work with a few shirts and add more quilting fabric and sashing or we can work with a lot of shirts. 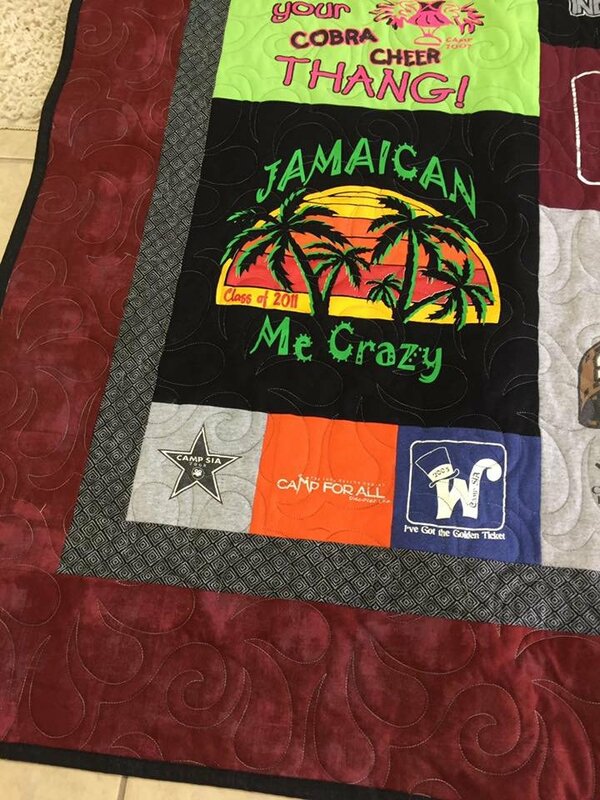 Prices depend on your quilt design. We would love to meet and discuss pricing. 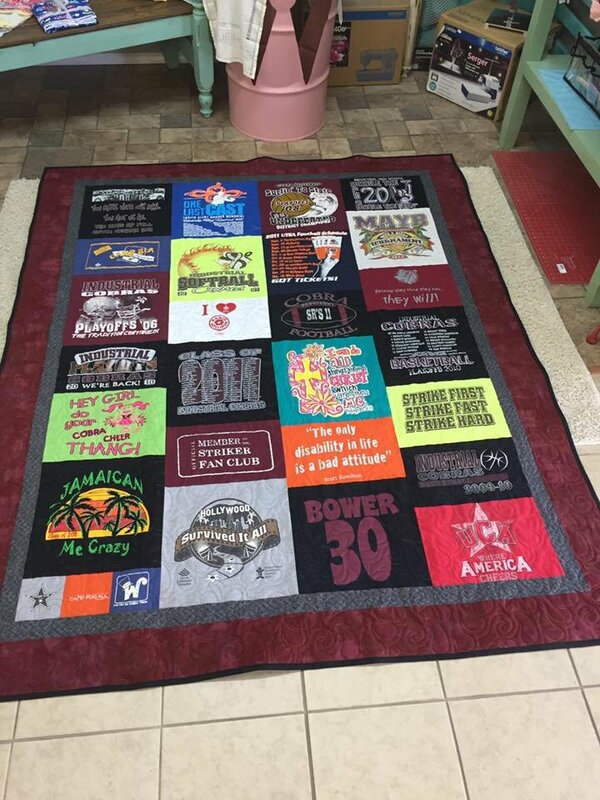 Turn around time is 2-3 months so please plan early, especially if you need it for a special occasion.